Nigeria government is working hard to deceive our people on what we stand for, they have created fake Avengers it didn't work, they created fake MEND it didn't work now they are planning to create fake IPOB. GOD is our witness if Nigeria government attempts to burn our flag...Nigeria flag will be used to make caricature around the globe. 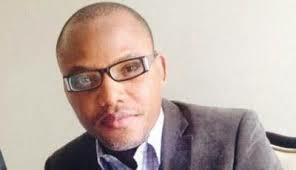 IPOB IS ONE UNDER NNAMDI KANU. Our people should disregard Nigeria and their plan to put confusion within IPOB, we are here to counter every of their lies.